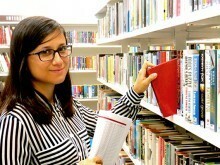 The heart of the SMSA, our Library on level 2 is the longest-running lending library in Australia, operating since 1833. 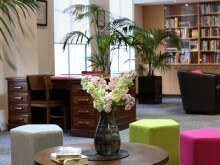 Our collection is unique, with our members calling it the ‘best fiction library in Sydney’. You’ll find books on our shelves that you won’t find in other libraries — and our Mystery and Crime section is of particular pride. 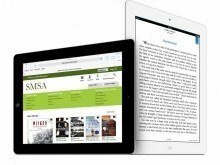 Our ebooks, audiobooks and emagazines are also very popular. Borrow up to five (5) items per subscription, in any combination of books or magazines. Loan period of 8 weeks for books and 2 weeks for new books and magazines. 24/7 access to ebooks and audiobooks loans of up to 21 days. Read on your computer, smartphone, ereader or tablet. Download emagazines using your computer, smartphone or tablet — and keep them for as long as you like. Access a range of Sydney, national and international newspapers. Test drive an iPad for up to 21 days. Print documents free of charge, provided your request is not excessive. SMSA is proud to be the home of the Tom Keneally Centre. 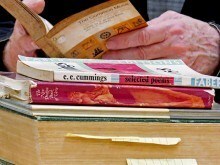 Affectionately known as the TKC, it is Thomas Keneally’s living legacy to Australia, holding books Tom has read and/or used to research his various books. 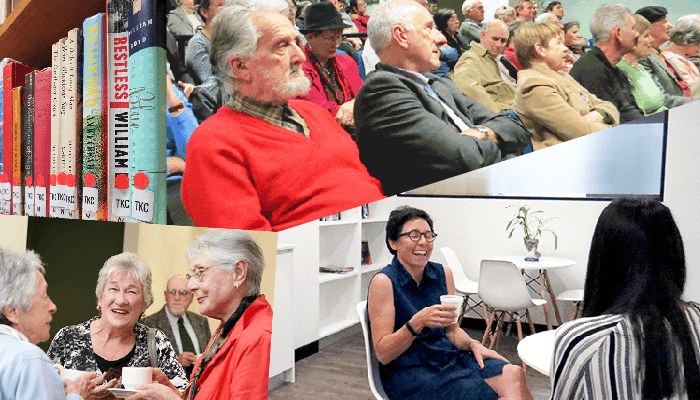 Devoted to Australian literature and history, the TKC hosts literary activities such as writing classes, readings and author talks, and is Tom’s office in the city. Visit the Tom Keneally Centre on Tuesdays, Thursdays and Fridays from 10:30am – 2:30pm. 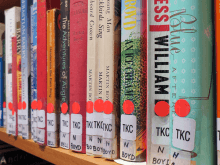 Borrow books from the TKC for up to 4 weeks. Explore the ‘red dot collection’ that hs hand-written notes by Tom Keneally explaining its significance to him and why it has a place in his library. Read newspapers or use the members computer. Attend readings, author talks, writing classes and workshops in the TKC. Tom Keneally works in the TKC on a regular basis and is usually happy to have a chat. Participate in members’ groups such as Mah Jong, Poetry at SMSA and the Mystery and Crime Reading Group. Come along to free members’ morning teas and events held during the year. 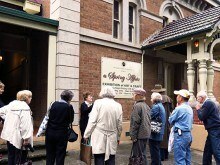 Take part in members’ outings to places or events of interest in and around Sydney. Come along on our annual Members’ Bus Trip, exploring places of historic and cultural interest, and highlighting our sister Schools of Arts. Celebrate at our annual Members’ Christmas Party, while enjoying artworks by the students and staff of the Julian Ashton Art School. The Sydney Mechanics’ School of Arts runs a robust program of talks, seminars and screenings which are free and open to both members and the general public. Enjoy free talks covering an eclectic mix of history, science, current affairs, art, literature, and travel, and more. 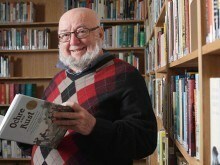 Attend workshops and classes including Writing Masterclasses with Tom Keneally. Watch classic films from Hollywood and across the world for free. Enrich your life across mind, body and spirit with our Good Life Seminars that cover health, well-being, lifestyle and other issues that matter to you. Members are also offered a range of benefits at partner organisations upon presentation of your membership card. 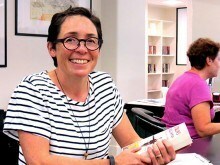 Reciprocal borrowing rights at the WEA Sydney Library, i.e. you can borrow books from their library upon presenting your SMSA membership card. Discounts on computer courses at ASCCA (Australian Seniors Computing Club Association) located on the Lower Ground floor of the SMSA building. Other discounts and special offers that may become available from time to time with our partner organisations. Our venue hire floor boasts a large Theatre with AV and Hearing Loop, as well as flexible and affordable Meeting Rooms that can be configured according to hirer’s needs. The Tom Keneally Centre is also available for hire. In line with the School’s values, we offer discounted rates to qualifying not-for-profit and volunteer organisations. The Sydney Mechanics’ School of Arts contributes to the community through grants to educational and cultural bodies in accordance with our organisation’s values. Over the years, the SMSA has made substantial endowments to University of Sydney, the University of Technology Sydney and the University of Western Sydney from which prizes are awarded annually. When you join SMSA, you are joining an organisation that has been serving the community in Sydney since 1833. Discover the benefits that membership of the SMSA can offer you.